Day 56 in Beijing: Toilets. Yes, Toilets. 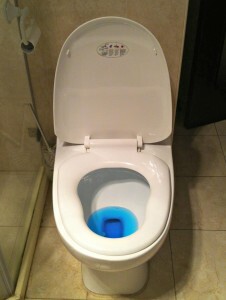 The toilet with the seat down and the lid up. Nice and comfy! The toilet in my apartment is quite nice. Probably not what you expected to read today. is unlike any I’ve seen elsewhere. When the cover is lifted, the seat protector automatically stays down. The seat set inside the lid. It fits so well that it is almost hidden. it encompasses the whole seat protector. 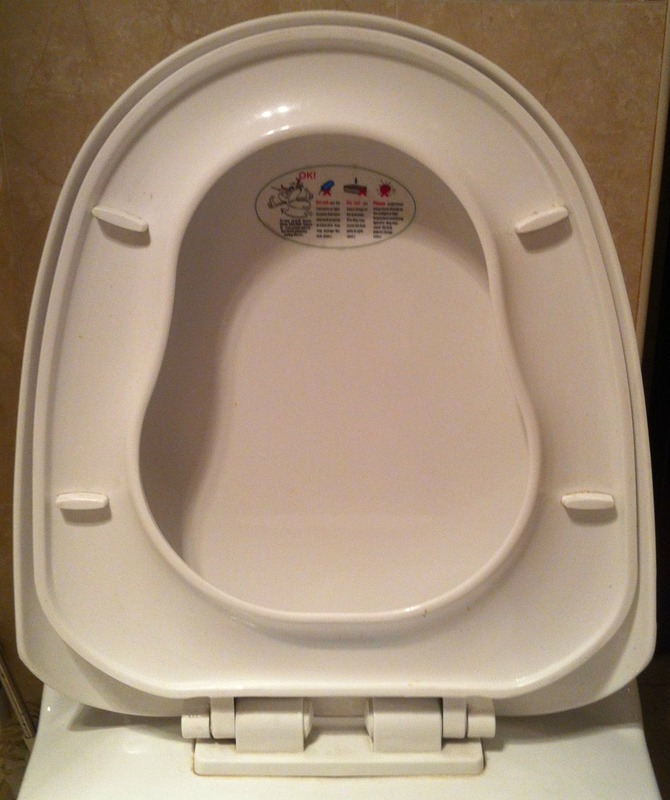 It is somewhat smaller than the toilet itself and fits inside the toilet seat. and it is easier just to leave it down. I think most women would appreciate this.